The tile is from Romans 12:6 in the Christian Bible. I think of all the Christians scattered over the earth. They have differing gifts and circumstances. Someone might be a Christian surrounded by poverty and people of other religions. She can't go anywhere without meeting someone who has never heard of Jesus. Another Christian is born surrounded by Christians and wealth. He is dissatisfied and searching for meaning. What's his gift and what should he do with it? Isn't it logical and beneficial for the Christian in the second scenario to give some of his wealth to the Christian in the first scenario, who doesn't have any, to help her share the gospel with her neighbors? 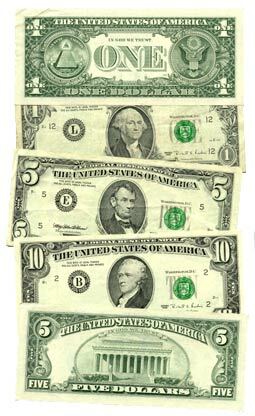 Money may be a common gift God entrusted to Christians in the United States. However, faithfulness with money may be uncommon. If we don't obey God with what he has entrusted to us, substituting other ways of serving him will be a joyless road. The second scenario is a challenging position for a Christian to be in considering the warnings Christ and the Bible give about money. It's too bad many Christian leaders feel awkward preaching about stewardship when it's an important gateway leading to a closer walk with Christ. Learning to give - physical things - from our hearts - to Christ for his purpose and glory - helps build up the Church on both ends of the transaction: giving and receiving. Giving is not necessarily consistent with the American dream. America praises someone who starts with nothing and works their way to the top as in the old Horatio Alger stories. Titles alone such as Do and Dare - a Brave Boy's Fight for Fortune paint a narrative and imply a moral . The rugged individualist creates himself along the way and we instinctively compare him with a poor, lazy, and undefined person still seeking hand outs. After such a difficult time early in life, we wouldn't think any less of this man if he kept everything he earned for himself. That may actually further define him. Money is his power, his badge of honor, and (cough) proof of possessing true American ideals. To ask anything more of the brave boy would be considered by many to be class warfare and Unamerican. However, we're too easy on this achiever. Instead of measuring him against the poor lazy person, we should compare him with Jesus for a more meaningful morality tale. The Horatio Alger stories have a good beginning but they end too soon; just before Jesus says to the rich man, "Follow me." We also have some televangelists in America who rightfully earned iconic status by sermonizing on giving and wealth to manipulate their congregations into parting with their cash. They drive luxury automobiles, wear expensive suits, and fly in private jets.. These images also influence many away from giving. Even though messages about giving and stewardship activate our defensive mechanisms, and run counter to certain strains of American idealism, our spiritual leaders need to preach balanced and sincere messages about giving and money because the Bible has a lot of sobering things to say about it. In morning prayer recently, I stumbled on this verse in Ezekiel 7:19 unexpectedly. The stumbling block of their iniquity! There was one stumbling block. They tripped over it. It precipitated all their iniquity and subsequent downfall. Now, they despise their gold and silver as they throw it into the streets. I know they were only human and so are we. Remember that puzzling parable abut the rich man's steward who wasted his master's goods in Luke 16? 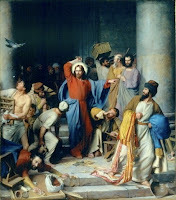 1 He also said to the disciples, "There was a rich man who had a manager, and charges were brought to him that this man was wasting his possessions. 2 And he called him and said to him, 'What is this that I hear about you? Turn in the account of your management, for you can no longer be manager.' 3 And the manager said to himself, 'What shall I do, since my master is taking the management away from me? I am not strong enough to dig, and I am ashamed to beg. 4 I have decided what to do, so that when I am removed from management, people may receive me into their houses.' 5 So, summoning his master’s debtors one by one, he said to the first, 'How much do you owe my master?' 6 He said, 'A hundred measures of oil.' He said to him, 'Take your bill, and sit down quickly and write fifty.' 7 Then he said to another, 'And how much do you owe?' He said, 'A hundred measures of wheat.' He said to him, 'Take your bill, and write eighty.' 8 The master commended the dishonest manager for his shrewdness. For the sons of this world are more shrewd in dealing with their own generation than the sons of light. 9 And I tell you, make friends for yourselves by means of unrighteous wealth, so that when it fails they may receive you into the eternal dwellings. 10 "One who is faithful in a very little is also faithful in much, and one who is dishonest in a very little is also dishonest in much. 11 If then you have not been faithful in the unrighteous wealth, who will entrust to you the true riches? 12 And if you have not been faithful in that which is another’s, who will give you that which is your own? 13 No servant can serve two masters, for either he will hate the one and love the other, or he will be devoted to the one and despise the other. You cannot serve God and money." 14 The Pharisees, who were lovers of money, heard all these things, and they ridiculed him.15 And he said to them, "You are those who justify yourselves before men, but God knows your hearts. For what is exalted among men is an abomination in the sight of God. This parable is puzzling but I believe there is a key to understanding it. Jesus described the master as being rich with no other descriptors. He described the rich man's wealth using the word mammon, translated above as "unrighteous wealth." He described the manager as dishonest. Dishonest from who's perspective? Jesus is saying giving money to God is being disloyal to mammon. This fits the context. After this parable, Jesus went on to give several warnings and speak disparagingly about money. It appears Jesus coined the term "mammon." The Son of God had a unique perspective on money as he walked among us. Using the term "mammon" makes wealth seem like a monster actively exerting a powerful and evil influence. He probably meant that. Wealth is not something to be trusted or played with. Proverbs 23:4-5 says wealth can sprout wings and fly away. It can also corrupt us if it decides to stick around as it did with those in Ezekiel's day. This parable speaks to the fact that although we can't trust money, we can do something good with it and save ourselves in the process. However, to do that, we have to be unfaithful to mammon. The god of this world would like us to spend everything we earn on ourselves promoting a sunny selfishness and virile indifference as Chesterton wrote in Orthodoxy . More dramatically, mammon would like us to spend our money pursuing vices that steal, kill, and destroy (John 10:10). If nothing else, mammon would be pleased if we created massive heaps of money that sit around doing nothing. That would be similar to the barn builder Jesus described as a fool in Luke 12:13-21. The devil would love to watch us destroy ourselves and money is his tool for that purpose. However, we can re-artifice the tool if we're "shrewd" enough. Instead of using money for the reasons mentioned above, we can give it to God. The devil may scream, "You're wasting my possessions!" as the master said in the parable above. Go ahead and do it. Giving is powerful and radical. It's the spiritual transfer of wealth between realms and kingdoms. The money we give takes on new character and meaning. It's the transformation of wealth. Giving not only helps others, it helps the giver. It opens a spiritual doorway in the giver and protects the giver from money's negative influence. Yes, the influence is there and everyone is susceptible to it except for Hobbits I suppose. Many men and women of God who went on to make lasting contributions to the church made decisions relative to giving and possessions early in life. Where can you give? How about your church? The Episcopal Relief and Development is a good place to give. Stewpot provides relief to the needy in nearby Jackson Mississippi. It's easy. Give some of your stuff to where you believe it will do some good. Who are "they" and what are the "eternal dwellings?" Maybe, "they" are those in heaven we touched during our lives with simple "unrighteous wealth." Maybe every human heart in heaven is an "eternal dwelling" God will permit us to experience. Giving is powerful on earth and the fruit of our giving will be awesome to experience in heaven. Scripture quotations are from The Holy Bible, English Standard Version® (ESV®), copyright © 2001 by Crossway Bibles, a publishing ministry of Good News Publishers. Used by permission. All rights reserved.